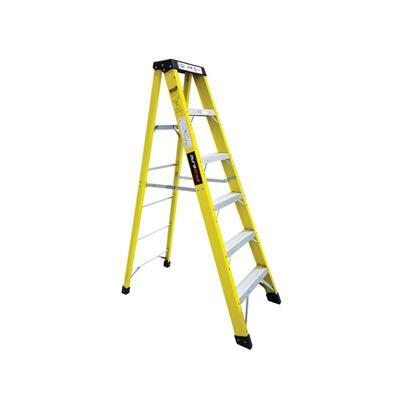 The DuraDrive FGH105 6 ft. Fiberglass Step Ladder has a 300 lb. load capacity, rated CSA Grade 1A. 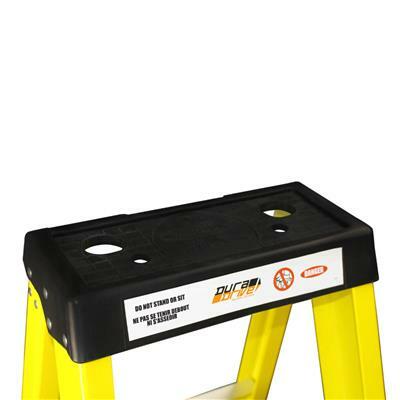 The product with innovative features to improve the user’s performance when working electrical, utility, heavy construction, and residential jobs provides many practical benefits and is extremely durable and rugged.